"Changing Lives Through Adventures inn God's Creation." New in 2014! 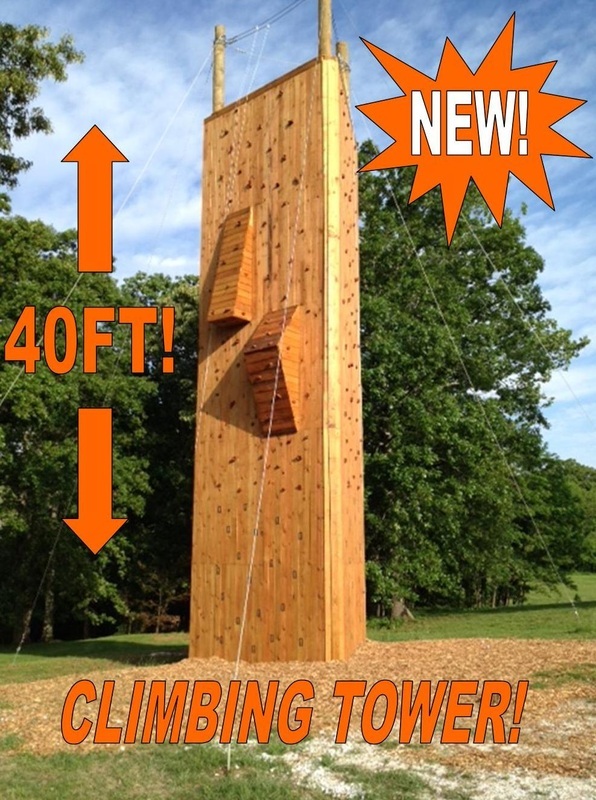 Try your skills out on our new 40 ft Climbing Tower! With both a beginner side and an intermediate side, your goal will be to reach the top! Once at the top, enjoy the repeal back to the ground. Challenge your self or your friends to reach new levels!